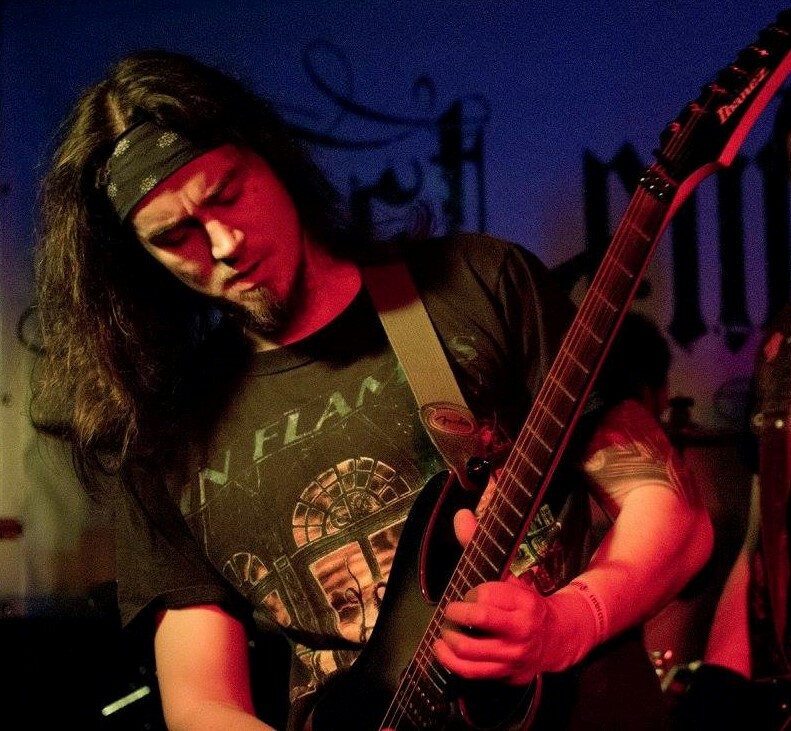 William plays Guitar for 17 years, studied Archeology and works in several musicschools in Berlin. For playing Live it’s „Whirlwind Purification“ „Succubus“ and „Conspiracy of the Sheep“ because they are quite relaxed compared to the other stuff. „Pandemonic Overture“ is also nice to swing some hair. From the composing view I like Omnivorous, Melodies of Memento & Dystopic Endzeit Panorama the most.